There are few players Nebraska could have afforded to lose less than Chris Jones, but that was exactly what happened when Jones tore his meniscus. Jones was arguably the best player on the team, and any time a team loses a talent of that magnitude it is a significant blow. However, the loss is complicated by the fact that Jones also played the shallowest position on the secondary – field-side cornerback. As of Coach Mike Riley’s last update, redshirt freshman Dicaprio Bootle was working as Jones’ back-up on the field side. If Nebraska were to simply follow the “next man up” plan, the Huskers would be replacing their best defender with a player who has yet to record a single snap at the collegiate level. That lack of experience is why many have suggested moving senior safety Joshua Kalu back to cornerback where he played last season. That does seem like the logical move if Nebraska wants to get the maximum amount of experience on the field. The Huskers have a couple of reserve safeties who have played extensively in last year’s starter Kieron Williams and Antonio Reed and either one of them could slide into the void next to Aaron Williams left by moving Kalu. However, is that the best move both for Kalu and for Nebraska? The coaches seem to be fully behind Kalu’s move to safety and his athleticism and tackling ability seem better suited for his new position. Kalu certainly made plays at corner, but his lack of proper technique and discipline also gave up many others. With a strong season at safety, Kalu could draw the attention of NFL clubs. I’m not so sure that would be the case at cornerback. The other factor to consider here is that Kalu played boundary corner last season (the field-side has to play more in space, putting more of a premium on coverage ability; the boundary corner plays on the side closer to the sideline). The coaches liked Kalu at safety, but they also wanted to get Lamar Jackson on the field at boundary corner. Jackson is a tremendous athlete, but he was a safety in high school who is just finding his stride at boundary corner. Is he ready to guard the other team’s best receiver on the field side? How effective would Kalu be taking on that challenge? Both Eric Lee Jr. and Avery Anderson are working at boundary corner behind Jackson, so it would be an adjustment for them as well, and both players have little more experience than Bootle as redshirt sophomore reserves. Of the back-up corners, Lee seems to be the one most ready to take on a bigger role, but he was already set to do that as the front-runner to play nickel corner. If the coaches decide to play Lee in Jones’ spot, then who plays in the slot in nickel? Both Kalu and Aaron Williams have played that spot in the past, which would again open the door for Kieron Williams or Reed. 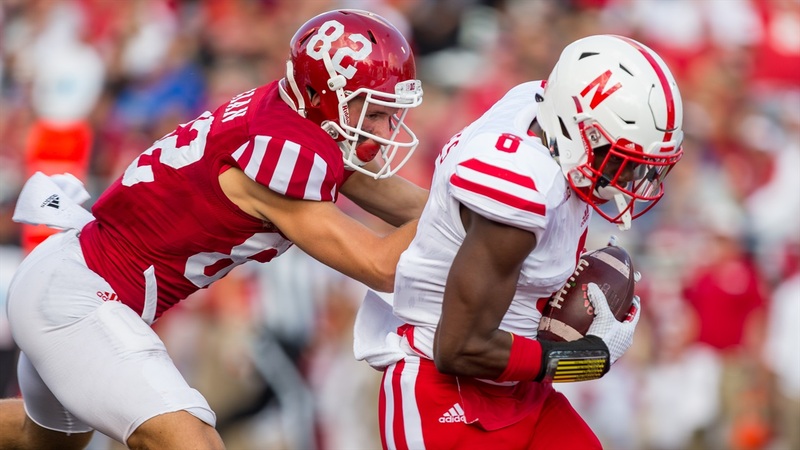 Does Nebraska take advantage of its safety surplus, or does it keep the other three secondary positions in place and start one of Bootle or Lee in Jones' place? That path would likely be bumpy to start, but there's a chance that after the young corners take their lumps they could grow into solid players, especially with the strength of the players around them. The bottom line is that there is no easy solution, and regardless of which option the coaches choose somebody is going to be playing out of position. As a result, the Huskers’ pass coverage likely will not be what the coaches were counting on with a stacked deck. Bob Diaco’s defense has traditionally focused on limiting the big play over generating turnovers. However, with a somewhat compromised secondary, Diaco might have to get a little more aggressive and turn up the pressure. Does Nebraska have the pieces to pull that off? That's another story for another day.